Despite a title with a very contemporary resonance, Andrew Sanders’s book is actually a history of Irish republicanism from the 1960s to the present, with an introductory chapter beginning in 1916. 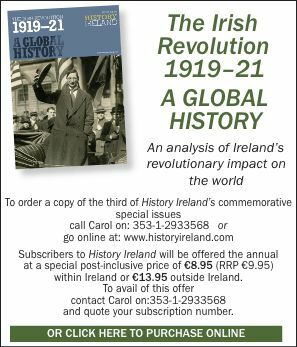 Thus the title of the book seems somewhat controversial in appearing to deny legitimacy to all organisations covered—Provisional, Official, IRSP and, indeed, the unsplit IRA and Sinn Féin of the 1960s—from the very outset by labelling them all ‘dissidents’. In his acknowledgements section, Sanders notes that this work had its origins in a Ph.D thesis under the supervision of Graham Walker and Richard English, the latter an author of several works on various aspects of Irish republicanism. The book itself charts the fortunes throughout the conflict not just of the Provisionals and their later offshoots but also of the Officials—later the Workers’ Party—and of the INLA and IRSP. To that end, the author utilises interviews with members and former members of all republican parties to the conflict, as well as with RUC special branch officers, members of the British army and several loyalists. Further, only a quarter of the 30 interviews are anonymous, which, given the reluctance of many participants to speak on record, is to be welcomed. The rest of the bibliography equally impresses: a wide range of archival sources, as well as journals, newspapers and a multitude of secondary sources. By and large the book also takes account of recent publications regarding the republican splits of 1969–70, 1974 and 1986, though there is comparatively very little analysis of the 1997 split in the Provisional republican movement—strange, given that this split arguably reverberates most today and provides a great deal of scope for a discussion of legitimacy in the light of republican perspectives on the use of armed struggle as a tactic. 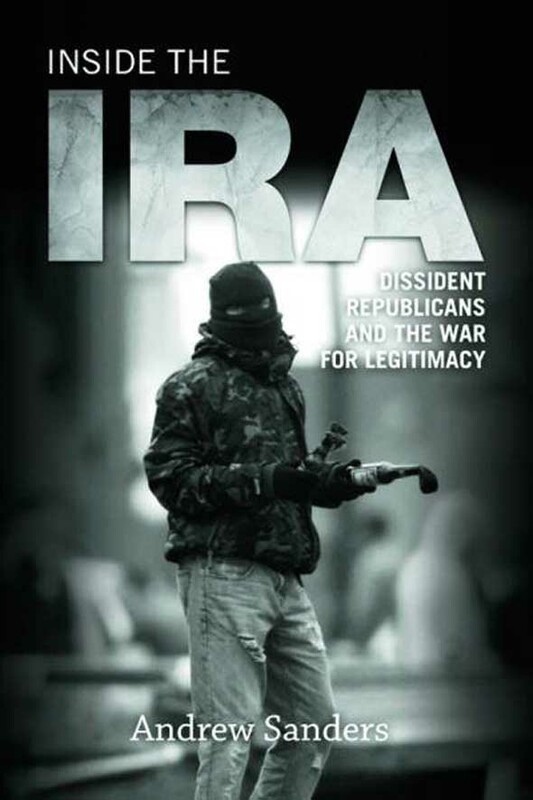 Several sub-chapters analysing splits and developments in loyalism, while relatively informative, are not quite what a reader seeks in purchasing a book titled Inside the IRA. Similarly, too much of the book is dedicated to Irish-America. Although this broader community certainly played an important role in the conflict, little of that contribution could come under discussions on the point of legitimacy or lack thereof, as the title suggests—certainly not two chapters. An unfortunate shortcoming of the book is the uncritical repetition of disputed interpretations of events in republican history. Examples include the assertion that James Connolly became ‘ideologically dominated’ by Pearse in 1916 and that Provisional Sinn Féin manipulated the 1981 hunger strike, based on the ratio of participants among the IRA and INLA who lost their lives (a ratio approved of by the INLA prison leadership at the time). Other statements are merely unproven; given the existence of recorded assertions that SDLP supporters and members allowed land and houses to be used for the benefit of the Provisional IRA, statements such as ‘the majority of the nationalist population in Northern Ireland have never been supportive of the IRA’ are simply impossible to quantify and are best left out of history books. Beyond this, several factual errors and omissions exist: for example, Denis Donaldson was not recruited as an informer ‘in the months and weeks following’ the 1970 loyalist attack on the Short Strand but rather at least ten years later; the nuances of Michael Gaughan’s connections to the Provisional IRA go completely unremarked upon, and Gerard McAuley’s death in August 1969—he was a fifteen-year-old member of Na Fianna—is not evidence to suggest that the events of that turbulent period were merely an excuse for the split. McAuley was but one of many young people helping communities under attack at the time and the victim could just as easily have been a politically uninvolved youth. Newspaper citations are also sometimes used somewhat anomalously, as when an article written less than halfway through the 1981 hunger strike is cited to prove the assertion that the INLA were ‘attacking the security forces more frequently than the IRA during the hunger strikes’. Prison struggles in Portlaoise and England also receive too little analysis—most unduly, given the book’s title. In its defence, the book does not neglect to cover the principal arguments revolving around the Provisionals’ 1986 decision to recognise Leinster House, such as the long-standing assertion of a North– South dichotomy. Overall, Sanders’s book is not a bad contribution to the scholarship on Irish republicanism since 1962. Contextual issues regarding splits tend to be covered in the main, though perhaps not to the satisfaction of all, but digressions into developments in loyalism seem largely to be filler. And that the book should open with the tired old Behan quip about splits and agendas should serve as a warning that little new or revelatory on republicanism is to be found within the covers. Gearóid Ó Faoleán is a Ph.D student at the University of Limerick.